I started working in dentistry when I was in high school where I Dr Vinson and Howard Lee trained me on the job. Later the state required a certificate in order to take and develop x rays, so I took a class at Phoenix College and got my certification. Dr Persons and I have been married for 39 years, and have 5 children. Four of our children are married now. We have 9 grandchildren and 2 more on the way. Our fifth child is on a mission for the Church of Jesus Christ of Latter-Day Saints, in Tennessee. When Dr Persons graduated, we started our own practice after a year of other opportunities. Our first office was located on 43rd Ave and Peoria, where we build the practice from the ground up. Some patients that are still coming to our office, remember those days, of me running the front office, back office and having children in the back room. We have been at this location now for about 29 years now. I enjoy getting to know our patients on a personal level. They are like family. 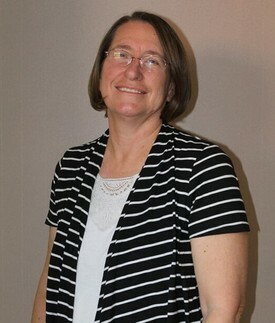 I enjoy camping, hiking, and family history work, crafts and being with my family. 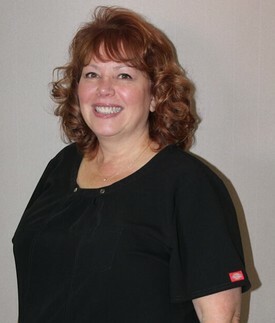 I have been in dentistry for 20 years, I joined the team December of 2010 as a Certified Dental Assistant and I really enjoy working with Dr. Persons. I love to work with our patients and also understanding our patient needs. I enjoy interacting and completing treatment as needed. In my spare time, I enjoy reading, traveling to the beach and camping with my loving husband of over 30 years. We have three children together and one grandson whom I love watching grow every day. My family and I currently reside in the city of Glendale. Interacting with my patients is the best part of my day. I enjoy learning about my patients and feel they always have something to teach me . I love being a dental hygienist and part of the dental team. I have been a hygienist for 17 years. I joined Dr. Persons practice in December of 2010. In my spare time away from the office, I enjoy spending time with family. I have been married for 33 years and have two sons and daughter in law. I enjoy traveling to beaches and our cabin. As Dr Persons’ daughter, I grew up in the office. I worked at the front desk and helped out in the back starting in high school. 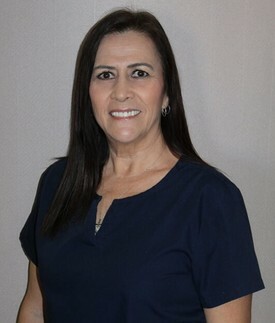 After attending Glendale Community College and graduating from Rio Salado school of Dental Hygiene, I began my career as a registered dental hygienist in 2002. I love getting to work with my dad and seeing the same patients for many years as well as meeting new patients. I also enjoyed working part time as a hygienist at a pediatric dental office for over 6 years. Now, when I’m not working, I enjoy spending time with my husband and our 3 boys. 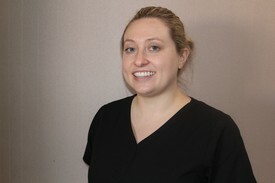 Mother Teresa said “We shall never know all the good that a simple smile can do.” Smiles are a universal way of communicating and as a dental hygienist I love helping my patients keep their smiles healthy and beautiful. I have made my home in Arizona since March of 2014, after leaving my hometown of Boise, Idaho. I graduated from Eastern Washington University in 2013 with my bachelors degree in Dental Hygiene. Since graduating I have worked in private practice dental offices as well as in public health. When I’m not working at Alan Persons Dentistry, I work for Maricopa County teaching parents and young children about oral health. It is very important to me that all my patients have a positive experience in the dental chair. 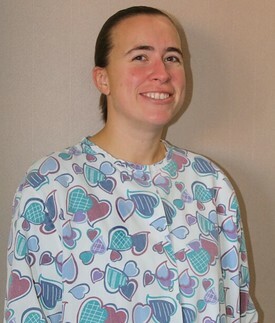 I love to hear my patient’s tell me their dental cleanings were comfortable and pain free. I’m a newlywed and when I’m not working; I enjoy cooking, hiking and photography as well as spending time with my wonderful husband.